Home security is our main focus lately. We were sent a WatchBot for review purposes. All opinions are my own. Ever since our house was burglarized, we have been exploring home security options. The technology these days is amazing and of course, we wish that we would have gotten on board with it sooner. Unfortunately, people seem to beef up their home security after a break-in. That is true in our case. Although, we did have secure locks and other measures to keep people out, it didn’t stop them from breaking in. How I wish we would have had a WatchBot to capture them on camera! 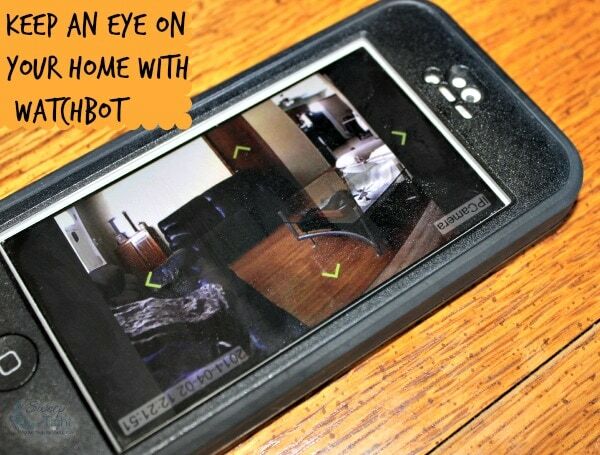 The WatchBot is a small camera that you place wherever you would like in your home. We chose to put ours in our living room, which gives us a clear view of the front and side door. Installing the WatchBot did not take me long at all. Once I used the included set-up disc and set up the wifi, it was smooth sailing. I downloaded the free iPhone app and started watching from anywhere. It’s so nice to be able to view what is going on in your house no matter where you are! From the app you are able to move the camera around for different views. The picture is impressively clear and there’s very little time delay. We watch the dogs all the time and see them moving in real-time. Having the WatchBot makes me feel a lot better when we have to leave the house. Now I can check in frequently from the app and make sure nothing awful is happening. Usually we just see the dogs sleeping on the couch and that’s exactly how we want it. Right now we just have the WatchBot sitting on a table, but plan to mount it in the corner of the ceiling. We wanted to make sure we chose the best location for it before screwing it into the wall. Of course, that’s optional, anyway. We could just leave it sitting and have the ability to move it around wherever we feel necessary. We definitely love the versatility of the WatchBot. I would highly recommend this to homeowners and businesses. I think many of us think a break-in is not something that will happen to us, but I am living proof that it does. 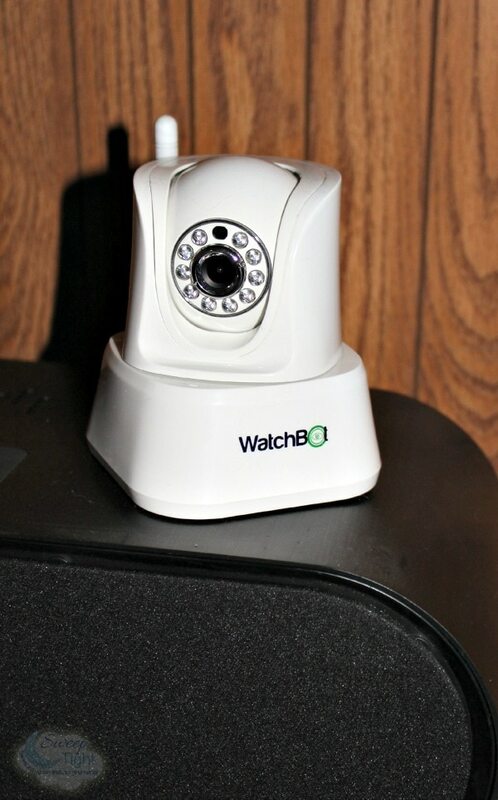 Take advantage of the awesome home security technology that is out there now. If anything, it’s an investment into your own peace of mind which is priceless! 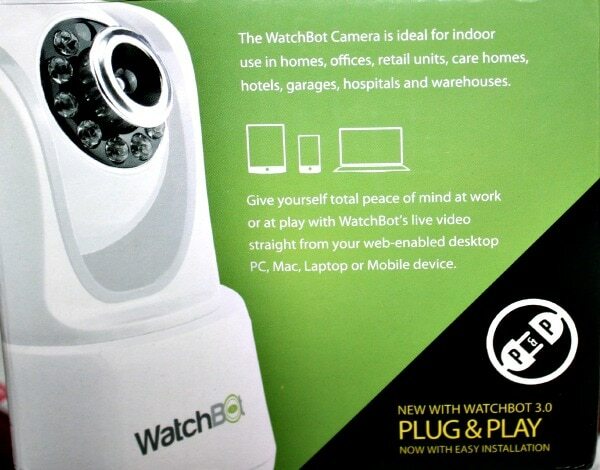 Visit the WatchBot website to read more and see your purchasing options. 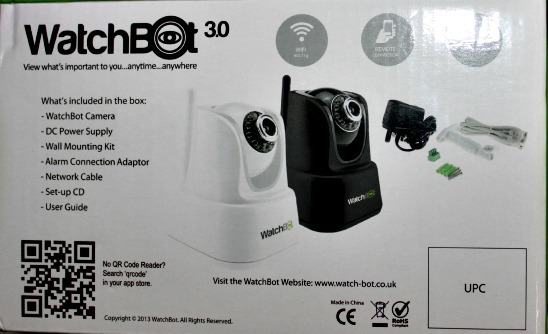 Have you explored the new home security gadgets that are available yet? This sounds like a fantastic device to own. 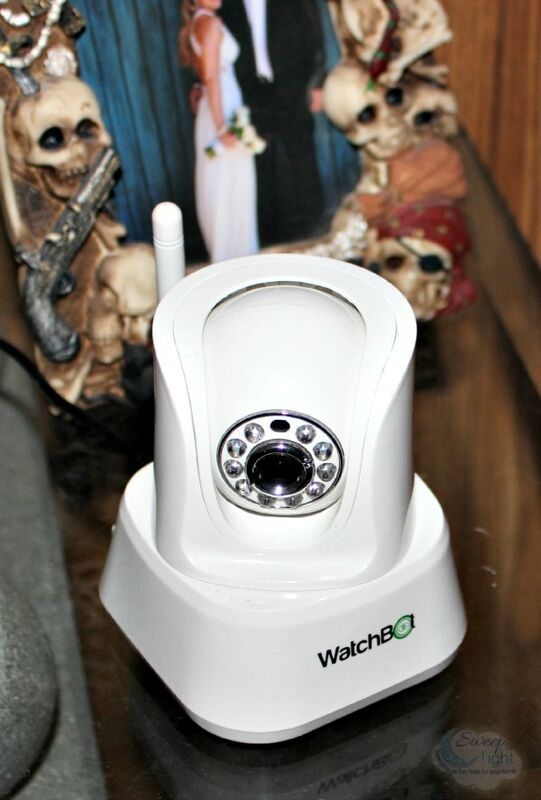 I love that it has a built-in motion detection and that you can record videos remotely. It would be such a comfort to be able to watch my home while I was at work or away. Looks like a great device. First I’d have to get a smart phone. This does look so helpful for peace of mind. I know I’d love being able to check in on the animals during the workday. That is REALLY cool! I want one of those for our house. It would be perfect for when we go out of town. I would totally be on that watching my dog lol! It is so true that people tend to not take security seriously until after a break in! Having your house broken into must have been so scary! This would definitely make me feel safer. After having my former apartment robbed, I can attest that there is never enough security! This looks totally awesome! Iwe had our car stolen last year and there were break ins in our neighborhood. This would be a great way to feel a little safer. That is one awesome idea, better safe than sorry. I love the features of this! Cool! I love that it has a day/night feature and email alerts which are perfect when you are on vacation! I think the built in motion detector feature is a huge plus. While we live in a “safe” area, it never hurts to be careful! this is awesome, I so need one of these to watch the outside of my home – new neighbors make me leary! I’m glad you are finding ways to be safe and feel secure. I think having that feeling of security is huge. I always worry about security. I’ll have to check this out!! Thanks! These security cameras that you can use from your phone intrigue me. I need to do some more research and check out the WatchBot, too. WOW, this looks cool. I could totally use this. I love gadgets like this. This is just what my mom needs for work. It has a lot of great features, and I like that it can be be mounted on the wall. With so many families getting ready for travel, having a WatchBot can really come in handy. I really like this. Would make me feel a lot better and can even use it to spy on the pets when away! This is wonderful! Our schedules often conflict and the kids and the critters can be home alone. This would give me peace of mind knowing I can check in and make sure all is ok. Great product!